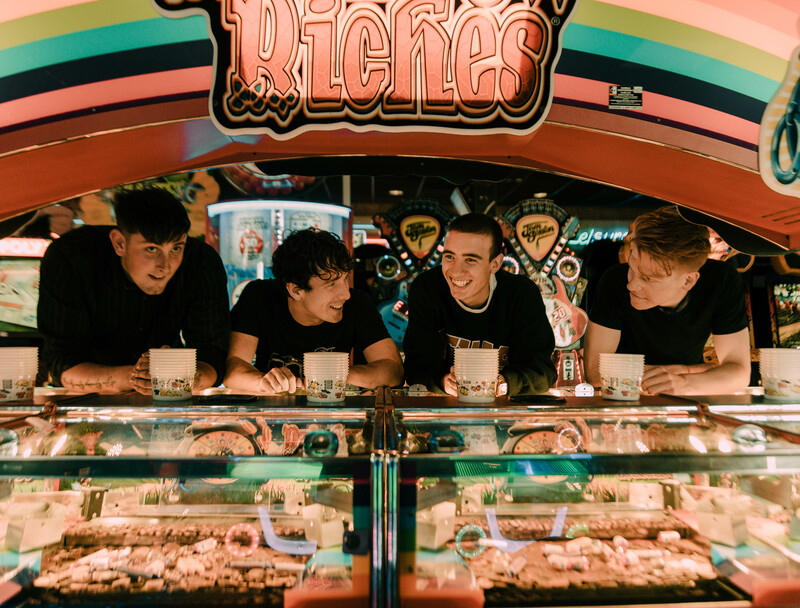 Dancing on Tables are firmly staking their claim as one of the most exciting Indie-Pop bands in the UK at the moment. Originally from Dunfermline, a small town just outside Edinburgh. Originally friends from school, Robbie, Callum, Hamish, Gregor & Reece named themselves after arriving at a show, without a band name. When asked for their name they noticed that punters were dancing on tables and decided to run with it. Off the back of overwhelming support on their first EP ‘Space Race’, the boys’ live game has gone from strength to strength. Just off the back of a UK tour support with Cassia, the band sold out a number of tour dates across the country. They’ve also performed at industry melting pots The Great Escape and Live At Leeds festival, all gearing towards their own UK tour later this year. They’ve just launched their new single ‘Black’, and it’s a vintage performance from the boys. Supported by Spotify across the world on their New Music Friday playlists, it’s an emotive, yet energetic piece of Indie-Pop with a vintage charm.